A real octopus, Tatsuya Yoshida began the drums at the beginning of the 1980s. Twenty five years later, he has become a truly polyrhythmic monster with syncopated respiration. An initiate in progressive music from his high-school days, Tatsuya Yoshida listened to Genesis, Emerson Lake and Palmer, Camel and This Heat. Although he cites his main influence as Christian Vander and Magma’s Kobaïan operatic choruses and interlaced phrasing, Tatsuya Yoshida also mines other seams to create a new, complex and concentrated style, incorporating the expressiveness of prog rock, the freedom of jazz and the energy of punk. The foundations of Japanese independent and alternative music were born in the eighties. Tatsuya Yoshida was already playing in the group YBO2 beside Masashi Kitamura and K.K. Null (Zeni Geva) when, in 1985, he formed a duo,Ruins, with just bass and drums. Four bass players came and went: Hideki Kawamoto, Kazuyoshi Kimoto, Ryuichi Masuda and Hisashi Sasaki. 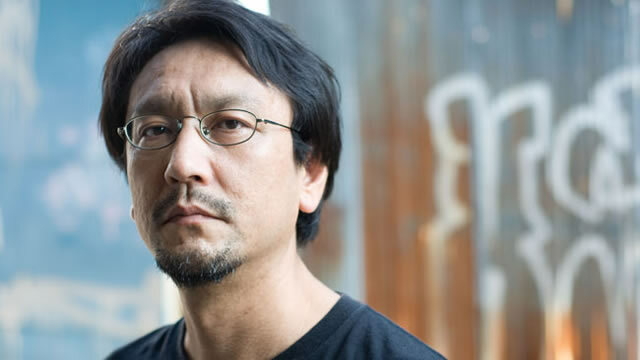 With the departure of his last bassist, Tatsuya Yoshida set out on a quest for a new member, but abandoned his mission, unable to find a candidate up to the job. The music Ruins was creating had become so complex that electronic machines were now Tatsuya Yoshida’s ideal partner. Ruins then became Ruins Alone. Like syrup or strong alcohol, Ruins makes music that makes you grimace. Ruins is a lab of Tatsuya Yoshida, a direct interface between his brain and his drumsticks. You could get fifteen rock records out of one Ruins album, just by adding a bit of fizzy water. Each composition could be developed in many different directions. Tatsuya Yoshida plays in numerous groups; he needs to, to sustain sufficient space for his overflowing creativity. When not doing music, Yoshida compulsively photographs stones. He travels the world in search of the mineral beauty of monumental statues and the millennial energy of rocks.